Chestnut Hill, MA The Bulfinch Companies, Inc., a private real estate investment, development and management firm, has signed a long-term lease with Dana-Farber Cancer Institute at Life Time Center, a premier wellness and medical destination, which officially opened on June 1. 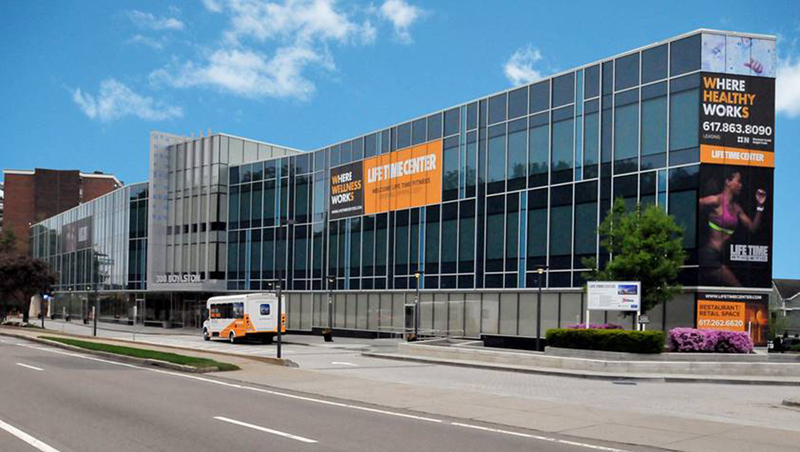 Developed and owned by an affiliate of Bulfinch, this 290,000 s/f mixed-use property is situated on Rte. 9, at the gateway to Chestnut Hill’s retail, business and medical corridor and in close proximity to the Longwood Medical Area. Dana-Farber has leased two floors at the property, located at 300 Boylston St., as an extension of the Institute’s main campus in the Longwood Medical Area. This 140,000 s/f lease brings Life Time Center to more than 95% leased and concludes Bulfinch’s successful redevelopment and repositioning of the former Atrium Mall into an innovative hub for medical and wellness users. The building is targeting LEED Silver Certification featuring numerous sustainable elements as well as large efficient floor plates, a sunlit atrium, fully renovated five-level 1,000 car parking garage and “smart park system” coupled with convenient access to public transit by way of a private Life Time Center shuttle to the MBTA Chestnut Hill green line. Dana-Farber’s Chestnut Hill expansion to Life Time Center is expected to open to patients in late 2019. In addition to clinical trials, this new facility will provide patient care, including exams, infusions, and supportive services to newly diagnosed adult cancer patients, as well as follow-up and survivorship care. “With additional treatment options, clinical trials, and innovative therapies, we need more space for patient care,” said Craig Bunnell, MD, MPH, MBA, chief medical officer, Dana-Farber. “Life Time Center will provide our patients an option in an easily accessible area with ample parking and amenities. The number of patients cared for by Dana-Farber has continued to grow since the opening of the Yawkey Center for Cancer Care in 2011. Providing added facilities at Life Time Center in nearby Chestnut Hill will provide patients a convenient option for care with Dana-Farber’s world class physicians and other medical professionals.